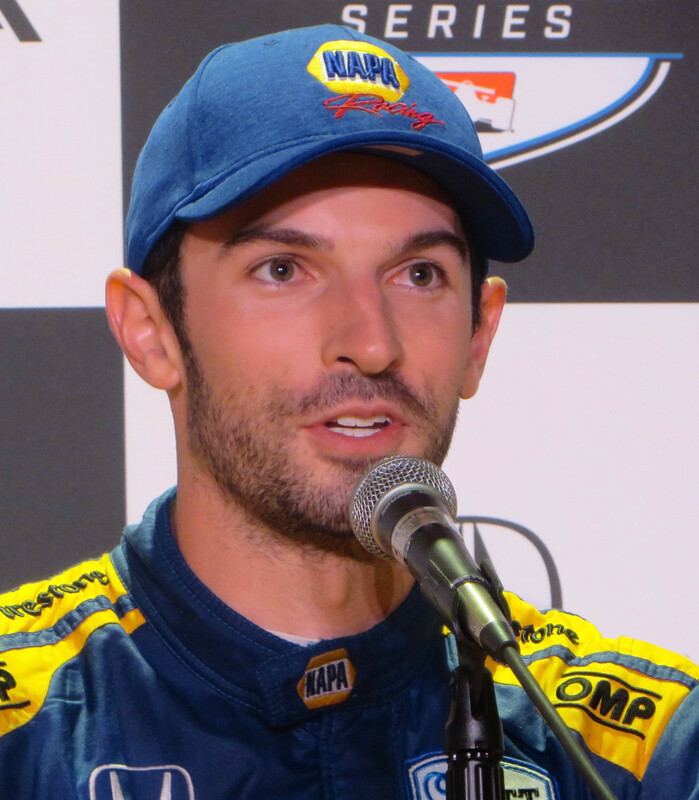 Pole Sitter Alexander Rossi/No.27 NAPA AUTO PARTS Andretti Autosport Honda put on a clinic today for the NTT IndyCar Series at Acura Grand Prix of Long Beach by winning by the largest margin (20.2359 seconds) since 1995 when Al Unser Jr. beat Scott Pruett by 20.3. Rossi led 80 of the 85 laps, only relinquishing the lead during pit stop rotations. This is Rossi’s second straight LB victory, and makes him the first back-to-back victor since Sebastien Bourdais won three in a row 2005-2007. Four of Rossi’s six IndyCar victories have come from the pole position. For Andretti Autosport, it was win number 63. Rossi dedicated the victory to his late grandfather, Donald Russell, who died Saturday. Rossi’s victory makes him the fourth different winner in as many races, and all four have been from different teams. Rossi’s words “As I said yesterday, winning the pole is huge come Sunday because it allows you to hopefully be in front leaving turn one and really just control the race from there. You can run your own strategy, your own pace, really dictate what the rest of the field does. “We were able to do that. Obviously can’t do it without a fantastic crew, car, no mistakes, great strategy all day from Rob. Yeah, it’s awesome to be able to really I think kickstart our year. We’ve had good pace, but just haven’t the results. This is what we’ve been looking for. 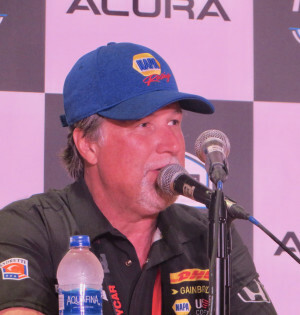 Team Owner, Michael Andretti explained the difference in winning as a driver (his first and last victories were at Long Beach) and as an owner: “They’re different. 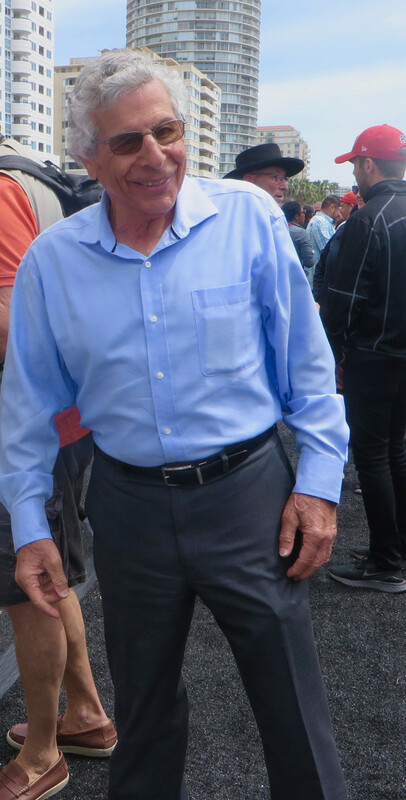 I think when you win as an owner, it’s like a real shared win. You’re just happy not really just for yourself but everybody in the team. Yeah, whereas as a driver, it more feels like a self-accomplishment. Taking the Checkered Flag third through fifth were Graham Rahal/No.15 Total Rahal Letterman Lanigan Racing Honda, Scott Dixon/No.9 PNC Bank Chip Ganassi Racing Honda, and Ryan Hunter-Reay/No.28 DHL Andretti Autosport Honda. 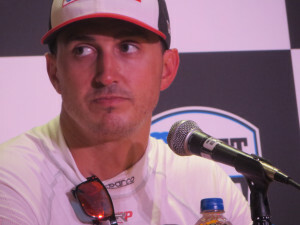 However, the last lap maneuvering of Rahal on Dixon went under Stewards Review, who determined it was blocking and reversed the official finishing position – putting Dixon on the podium and putting him third in the standings. 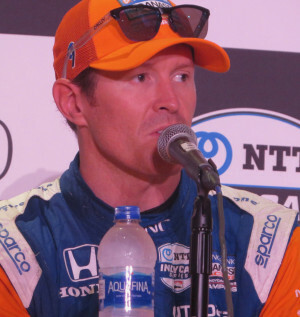 Dixon said “”It was unfortunate with the Graham Rahal incident. I think he overshot Turn 8 and then quickly tried to turn in reaction, and you know the rule is you can’t come back to defend if somebody’s already there, and that’s what happened. I was on (overtake) and hit his rear tire and had to lift off. I lost my momentum and that also turns the overtake off, as well. It was just one of those things. Had he not reacted there we would have (passed him) anyway. But it’s racing, hard racing. Yeah, you’re not meant to react. That’s exactly what he did. It forced me not to hit him, I had to brake, get off the throttle. I think when you’re having to avoid somebody, when they’ve done a reaction. “I think had he not defended or reacted the way he had done, we would have got the pass easily done. I think it is what it is. We’re going to be okay with it. They’re not going to be happy with it. That’s the way it is. I think Graham has definitely been racing on the edge. Definitely at Barber, some pretty risky kind of situations, too. RHR turned the fastest race lap of 1:08.0153/104.165 mph on Lap 27. The top Rookie was Felix Rosenqvist/No.10 NTT Data Chip Ganassi Racing Honda in tenth place. As IndyCar races go, this one was relatively bland – the description applied by Dixon. The only dramas came at the start and finish. An accident at the start brought out the first and only caution. It involved Marcus Ericsson/No.7 Arrow Schmidt Peterson Motorsports Honda, Jack Harvey/No.60 AutoNation/Sirius XM Meyer Shank Racing with Arrow SPM Honda, and Spencer Pigot/No.21 Ed Carpenter Racing Chevrolet. It was an apparent rear-ender accordion at the back of the pack. Ericsson was assessed a drive-thru penalty for avoidable contact. All three cars were able to eventually continue, with Harvey pitting for body parts replacements and adjustments. Pigot finished eighteenth with 84 laps, Ericsson finished twentieth, two laps down, and Harvey in 22nd, three laps down. 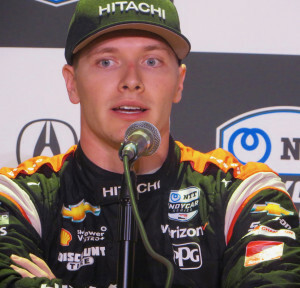 On the white flag lap, Dixon was racing Rahal, and it was a matter of opinion, depending on whom was asked, whether it was defensive driving, blocking or just racing. The Stewards reviewed the situation and determined it was blocking by Rahal on Dixon, and he had to yield his third place finish. Another mistake was made by Rookie Santino Ferrucci, who was running ninth when he hit the wall after exiting from the pits with full tanks. The car bottomed and he ended up in the the same Turn One Runoff area. After the AMR Safety team restarted him, Ferrucci continued on course, two laps down. He finished 21st. Eleven drivers finished on the lead lap. James Hinchcliffe/No.5 Arrow Schmidt Peterson Motorsports Honda gained the most race positions, gridding fifteenth and finishing ninth. He is now seventh in the standings. There is an IndyCar test on 24 April at Indianapolis Motor Speedway. Then begins the Merry Month of May.